The lowest crowd of the season a paltry 292 witnessed one of the greatest comebacks from a Stenhousemuir team that there has ever been in this game against Peterhead. The Warriors made two changes for this game with Stephen Stirling replacing the suspended Jon Robertson and Jason Scotland making his first start with Lewis Small dropping to the bench. Also on the bench but for the first time was Sean Robertson as Dean Shaw was injured. Peterhead had won the encounter between the teams in the Challenge Cup three weeks earlier by a convincing three goal margin though in truth it was a closer game in most aspects of play. The main danger on that occasion came from corner kicks and they showed the threat once again in only the fourth minute when Jamie Barclay saved a Jonathon Brown header from a Nicky Riley corner. 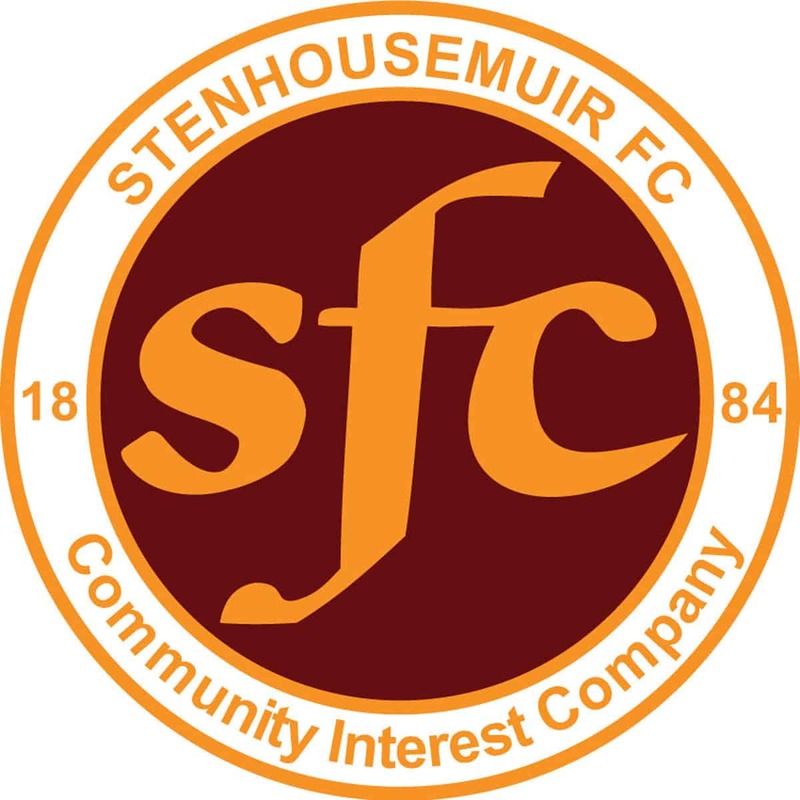 Stenhousemuir then had chances at the other end when Colin McMenamin had an effort blocked by Simon Ferry and a Mark Gilhaney overhead kick went just the wrong side of the post. It all started to go wrong for the home side though in the 13th minute when Rory McAllister took advantage of lax marking and made room for himself before hitting a left foot shot across goal and into the net. They then extended the lead on the half hour when McAllister scored his second with a free kick from 25 yards out with a right footed strike that curled round the inside of the wall. It was well struck but the keeper maybe will be questioning his positioning for the shot. Shortly afterwards Peterhead secured their third goal from the penalty spot. McAllister had been tripped by Stuart Malcolm just inside the box and the striker stepped up to the penalty spot and sent Barclay the wrong way in securing his hat trick. At that stage most people were just wondering how bad the final score was going to be as the home side had dropped out of the game completely. With two minutes of the half to go they looked as if they had a consolation goal when Graeme Smith miss kicked a clearance and was chipped by Colin McMenamin from all of 35 yards. Few realised at the time that this goal became the catalyst for a totally different game in the second half. The second period saw Peterhead forced deep into their own half and McMenamin was unlucky not to score his second in the 55th minute with an acrobatic effort that was blocked by Smith’s legs. The ball was then transferred up to the other end and McAllister beat Ross Meechan to the ball before shooting past the advancing Barclay, Meechan though showed great positional awareness and composure to get back and clear the strike off the line. That was another key moment in the game as within minutes the Peterhead defence had been carved open by a swift passing move that ended with Scotland scoring his first goal for the club after McMenamin played a pass to him across the six yard line. Unbelievably the game was level in the 65th minute with Scotland once again the marksman. For once Stenhousemuir went long with a kick out by Barclay and McMenamin timed his just to head the ball on to Scotland, the striker still had a lot to do though but he beat one player and transferred the ball to his left foot and pinged the ball into the top corner of the net from 18 yards. Two minutes later Stenhousemuir were in the lead, Anthony Marenghi hit a disguised pass to Scotland who then stroked a slide rule pass to the advancing Kieran Millar who stroked it first time into the net. Alan Cook then dragged a shot wide as the home side threatened to go nap, but Peterhead still had their dangers and Barclay had to be alert to save free kicks From McAllister and Jamie Redman before the end. Peterhead’s misery was complete in stoppage time when Cammy Kerr was dismissed for a late challenge. When the final whistle blew the feelings were of jubilation as well as disbelief and no wonder as this was the first time that Stenhousemuir have came back from three goals down to win in a league match since they beat Brechin City 5-4 in September 1974. The only other occasion was away back in September 1929 when Brechin were once again the opposition. Stenhousemuir – Barclay, McCormack [b60], Paterson, Malcolm, Meechan, Millar [McCroary 85], Gilhaney, Stirling [Marenghi 63], McMenamin, Scotland [Mazana 81] and Cook [b90]. Subs not used – S.Robertson, Small and Henderson. Peterhead – Smith, Kerr [so90], Noble, Ross, Gilchrist [ Blockley 35], Strachan, Ferry [Sutherland 73], Redman, McAllister and Riley [McIntosh 67]. Subs not used – Jarvie, Dzierzawski, Ferries and Rodgers.